Good looks cannot be personified without healthy locks, be it male or female. With the growing stress and changing lifestyle, hair loss has become one of the most common problems. There may be multiple options available in the market but hair transplantation is gaining much popularity in recent times to remedy this problem. In this surgical process, hair follicles from any site of the body are planted to the area where there is lack of hair i.e from ‘donor site’ to ‘receiver site’. The process gives you a complete natural look if proper hairline is taken care of. These therapies are being used not only to remove baldness but also to acquire more attractive look. Follicular Unit Transplantation (FUT) or STRIP: A strip of scalp is removed from donor site, hair follicles/grafts are harvested & the strip is then stitched back. 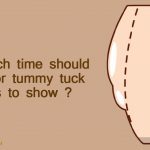 It is a cheaper technique carried by expert surgeons producing good results though leaving a scar of stitch. Follicular Unit Extraction (FUE): This painless but costly method involves removing grafts from donor site via suction through machines without incision. Before procedure, the patient needs to shave complete head and the grafts thus planted may have a lower growth rate. FUT is usually advised for people with large patches of baldness. For smaller hair transplants and eyebrows, FUE is more preferable. Both the methods are carried out in regular sittings weekly or monthly. Emerging from Japan in 1950s, hair transplantation techniques have witnessed a tremendous growth globally. India is seen a potential market for hair restoration services because of its affordable medical services and a large population in the age group of 25-30 years. 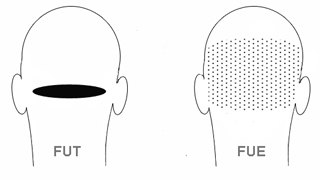 As per surveys, more than 50% of the people seeking hair transplant services have opted for FUT. The cost of surgery has reduced in past years and depends on the number of grafts to be transplanted, precisely the area of baldness. Are you fit for it? The process is not gender specific. The age should be about 25 years or older since it involves use of local anesthesia. Patients having blood disorders and other ailments like asthma, diabetes, etc. are usually not taken up for surgery. 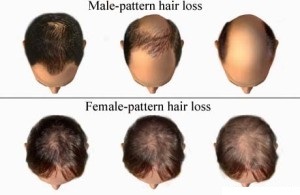 It mainly depends on the hair loss pattern, permanence of donor hair and extent of future hair loss. In some cases, the transplanted hair may not fall but natural hair may continue loss. Since own hairs are used in the treatment, the transplanted hair is same as your original hair and they can be cut, colored or styled alike. It takes approx. 2-3 months for hair growth and a complete recovery within 8-10 months. 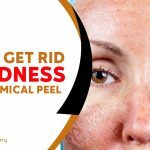 The process involves no use of chemicals or medicines. 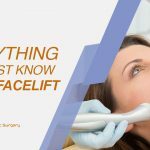 It is a cost effective technique because no maintenance is required after surgery. No specific shampoos or hair oils are to be used. You can go home the same day of surgery and opt for a regular lifestyle. In case of FUT, care need to be taken till the stitches are removed. Apart from all the pros, the process may often accompany some cons as well. The intake of antibiotics and ant inflammatory drugs become important to prevent post operation side effects of infection and swelling. The new hair may appear more or less dense depending on how loose the scalp skin is. The fact here is ‘Every case of baldness does not have a solution in hair transplantation’. 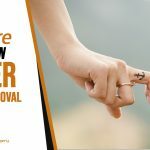 Nevertheless, it would be prudent to consult a hair restoration surgeon and undergo the process so that baldness may no longer be a menace for you. For best results from the hair transplant surgery, make sure to approach Profile cosmetic surgery today.